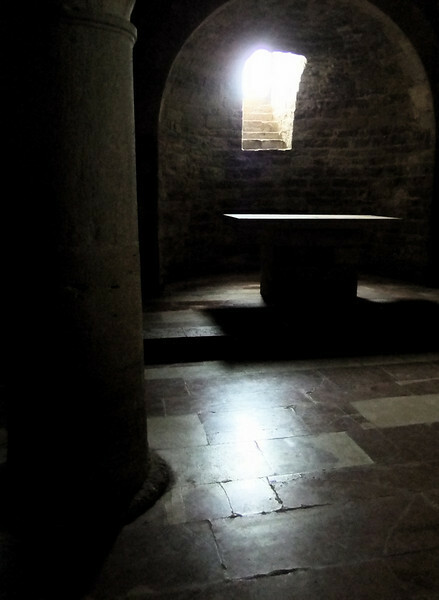 Crypt beneath raised presbytery, San Silvestro (deconsecrated), Bevagna, Umbria. Natural (lack of) light. The precedingg image is the same photo post-processed with Aperture; this version was manipulated with iPhoto only.